Global markets reacted positively to conciliatory moves from China on Tuesday, after President Xi Jinping promised to cut automotive tariffs this year. 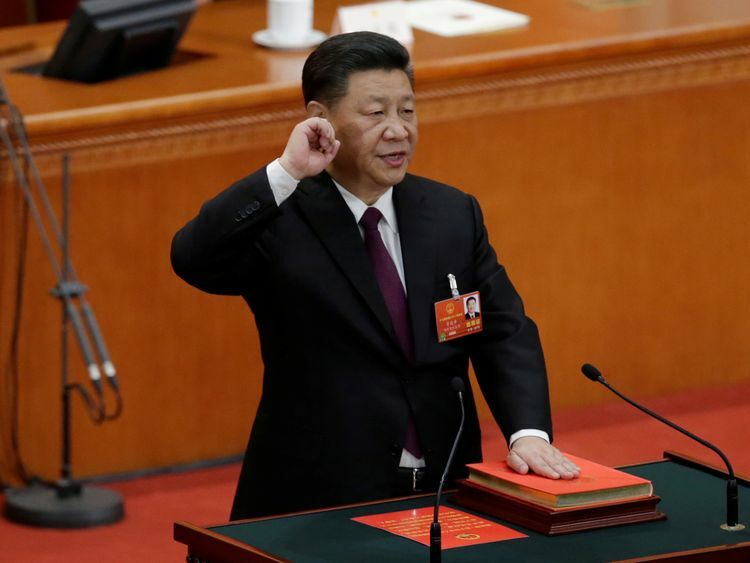 China's leader also promised to improve intellectual property protection and raise foreign ownership limits within the auto sector "as soon as possible." Asian shares closed higher, while US stock futures and the dollar rose after the comments.The Dow Jones was trading up at around 2% throughout the day, as fears of a US-China trade war appeared to recede.The UK's FTSE 100 closed up 1% at 7,266.8 on the day.European auto stocks were particularly buoyant, up as much as 2.1%, with Germany's BMW, Daimler, and Volkswagen leading the way.Evercore ISI analysts said the primary beneficiaries from lower Chinese auto tariffs would be German carmakers and the German economy as a whole.According to their estimates it could lead to an earnings boost of up to €4.5bn (€3.9bn) for German carmakers. BMW is expected to benefit most, followed by Daimler and VW. The UK auto industry also welcomed the Chinese leader's statement. "China is an important and growing market for UK built vehicles and exports increased 19.7% last year," said Mike Hawes, chief executive of the Society of Motor Manufacturers and Traders (SMMT). "It's encouraging to hear that China is considering reducing import tariffs on cars as this will certainly encourage demand for Britain's ever growing range of premium, luxury and sports vehicles. "China is a crucial bilateral trading partner in terms of materials and components and, with automotive companies in both countries investing heavily in each other's countries, a strengthened UK-China trading relationship, which respects free and fair trade can only deliver greater dividends. "We hope that progressive trade tariff liberalisation in China and across the world can be achieved through international collaboration and any existing trade barriers can be quickly overcome. "President Xi's vow came just as threats of further levies on hundreds of billions of dollars' worth of products were being exchanged between Beijing and Washington, raising fears of a trade war that could puncture the global economy. Robert Caplan, president of the US Federal Reserve Bank, said he is "still optimistic" that very few, if any, of the tariffs proposed by the US and China in recent week will be implemented.He added that it was in the interests of both countries to have a constructive trade relationship.